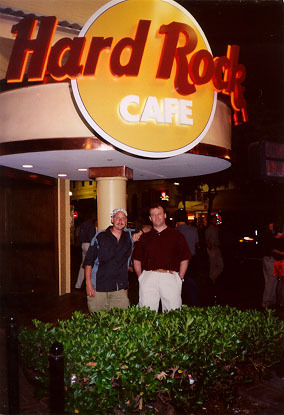 Matte and Andy outside the Hard Rock Cafe before the party begins inside the Hard Rock Café, San Diego. 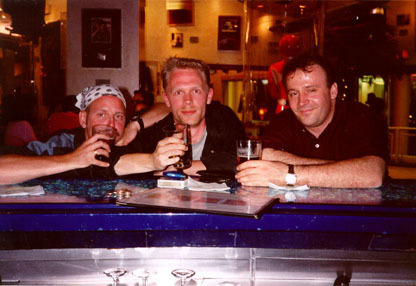 Matte, Pontus and Andy at the Planet Hollywood Resturant in San Diego, CA. Pontus outside the Hard Rock Café, Universal Studios, CA. 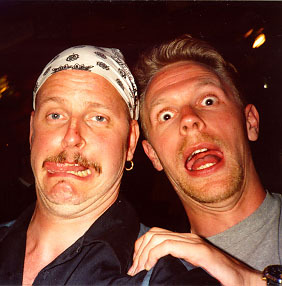 Same two 'stupid' persons that like to make funny faces inside the Hard Rock Cafe, San Diego. Read or sign Planet Hollywoods Guestbook! All rights reserved 2000, by Pontus Plaahn. THIS SITE IS NOT FOR SALE!!! FACT ABOUT THE WWW.PLANETHOLLYWOOD.NU WEBSITE!!! People shown on pitures on this site works at or for the Swedish Company Planet Hollywood AB. This site and the picture that are published on it, belongs to Planet Hollywood AB, Stockholm, Sweden. 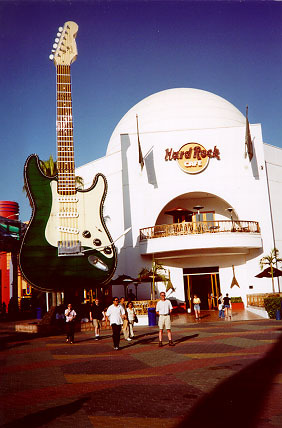 Planet Hollywood AB, is a private own company and are protected by swedish laws. Swedish Goverment, Patent och Registreringsverket, PRV, Sundsvall. All pictures and text on this site are protected by law. 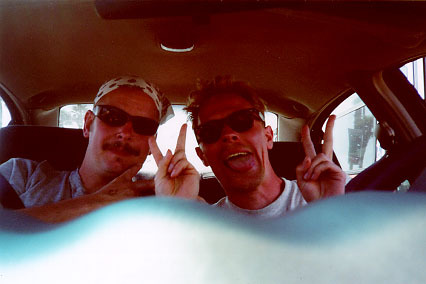 Copyright © 1994-2002 by Pontus Plaahn, Planet Hollywood AB, All Rights Reserved.